Last course of the year! You don't want to miss it. Need help with any of the following issues? Sleep, bed wetting, bullying, learning issues, exam fright/stress, respiratory problems, skin issues, warts, digestive problems, behavioral issues, eating disorders and so much more! 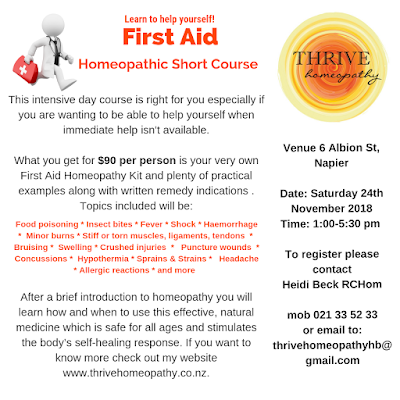 Contact Heidi Beck, Registered Classical Homeopath in Napier. 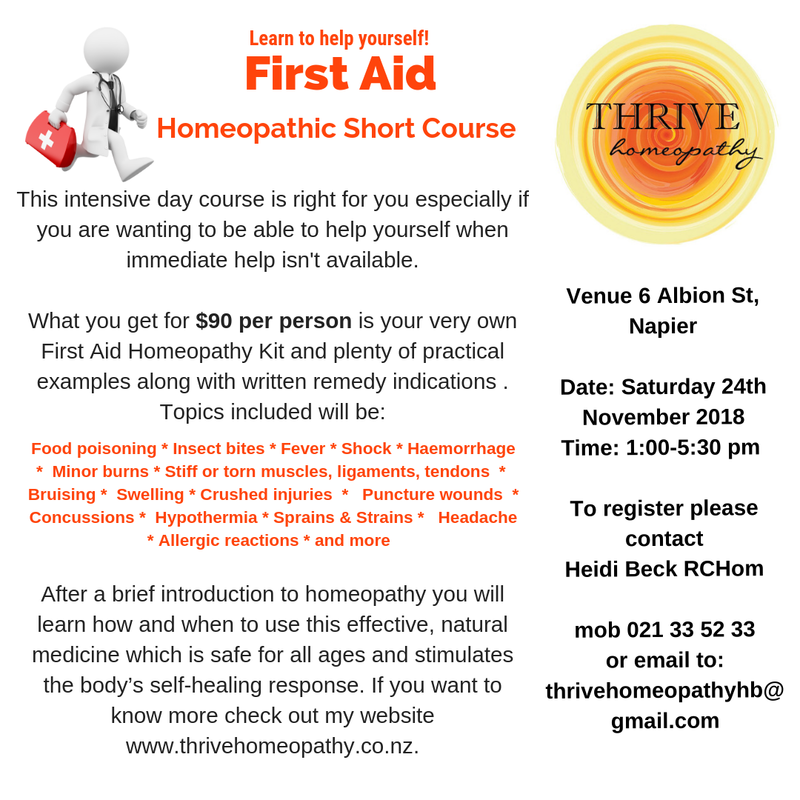 Homeopathic Consultation @ $60 incl. 1 homeopathic medicine. Homeopathy is for effective, natural and affordable healing. If you haven't tried it, you haven't tried everything.